George Laufert is a retired government employee. 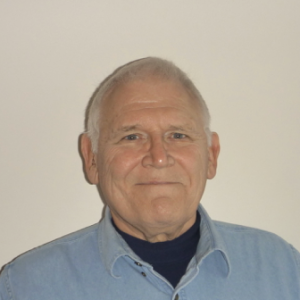 He lives in Easton with his spouse of 47 years. He has been sewing Crewel since the late ‘70’s and creating his own Crewel Embroidery designs since 1984. 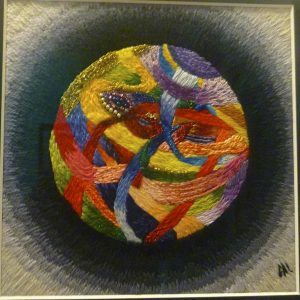 He incorporates various cotton, wool and metallic threads into his creations as well as beads and crystals. 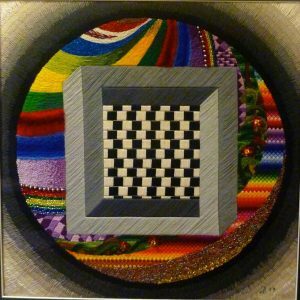 George loves to mix and blend bright colors into his designs. 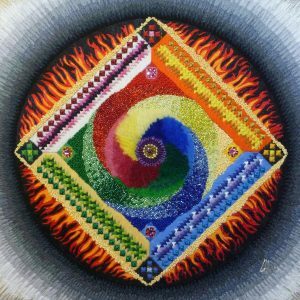 Some of his work employs the concept of the Hindu Mandala. The first gallery image is a departure from my other designs. 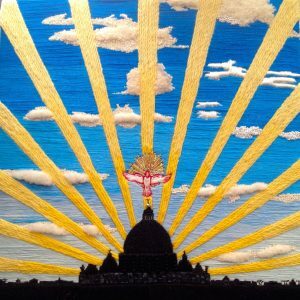 it was inspired by visits to the Vatican and St. Peter’s Basilica. The second gallery image is my first design. It is somewhat a crewel sampler. 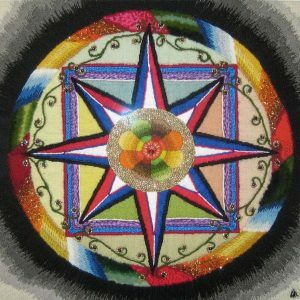 I tried to employ the Mandala eight sides of life. The third gallery image is an orb in which I tried to show two dimensions of an orb rather than a flat circular image. 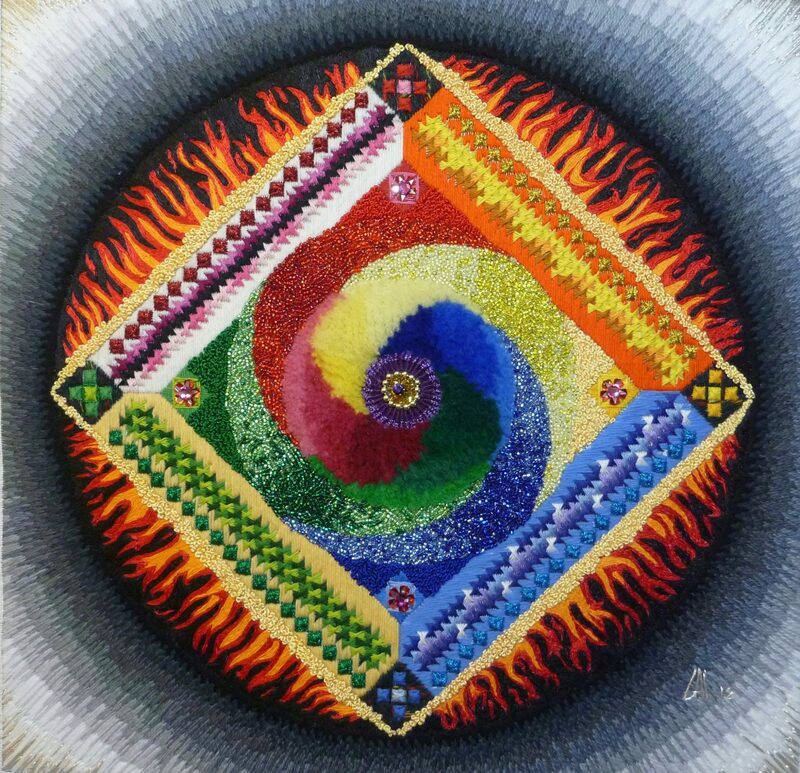 The fourth image weaves a vortex within a Mandala. 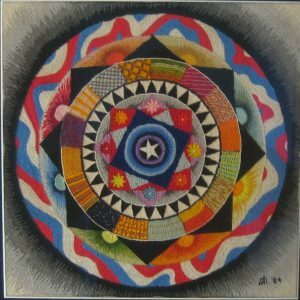 You will be drawn into the swirling colors of the design to focus on its sparkling center. I incorporated beads and crystals into the design to provide more variety in what you see and also to broaden my ability to work beyond fabric. The fifth design is my compass. 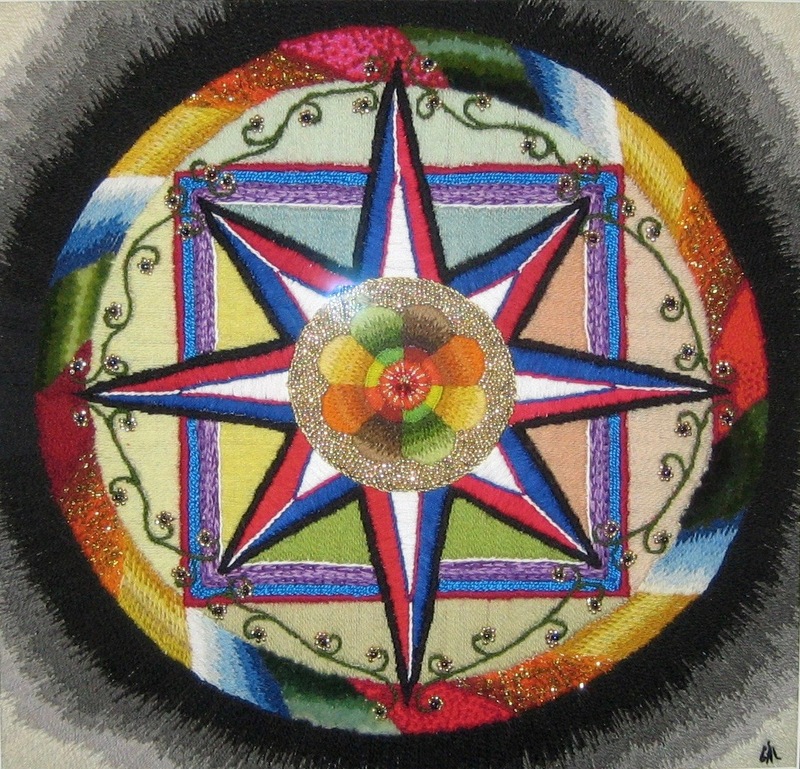 Many aspects of a mandala are present here. The eight petaled lotus blossom is the centerpiece of the design. I used a vine curling around the circle to provide a distraction from all the straight lines. 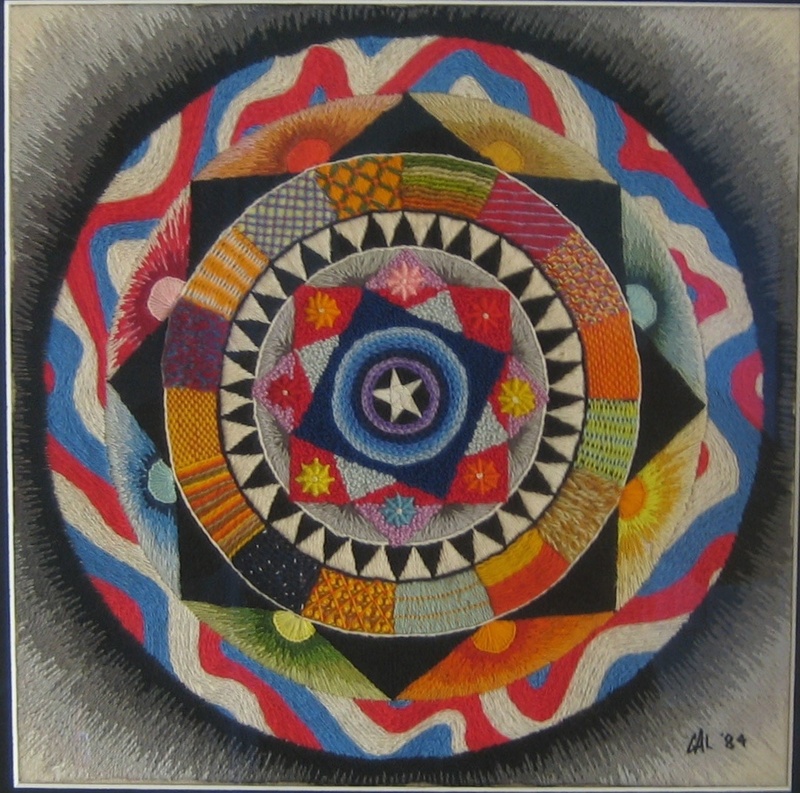 The sixth image goes back to the perspective of an orb. Within that design are geometric illusions. The frame looking in at the smaller squares. And yes, they are all the same size but appear to go from a larger to a smaller size.